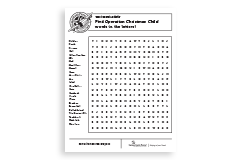 An Operation Christmas Child-themed word search puzzle recommended for ages 5 and older. 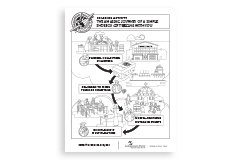 A decoder coloring sheet to discover interesting facts about Operation Christmas Child for ages 5 and older. 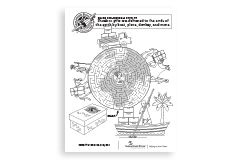 A maze coloring activity showing some ways shoeboxes are delivered around the world, recommended for ages 5 and up. 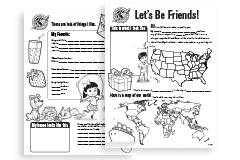 A coloring activity based on the Journey of a Shoebox for ages 8 and up. 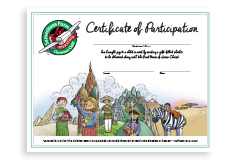 A coloring sheet depicting some of the children who receive shoebox gifts, recommended for ages 2 through 7. 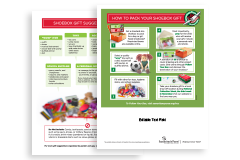 A page to help your children personalize their shoebox gifts. Include this note and a photo of your family in your box. One page listing a different verse for each letter of the alphabet, designed for Scripture memory. 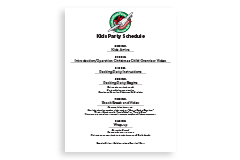 All you need to plan a shoebox packing party, including a sample schedule just for kids. 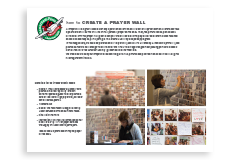 How to create a wall of pictures that doubles as a place for people to record their prayers. 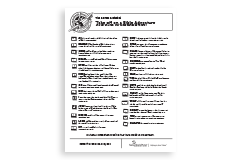 Additional suggestions for implementing Operation Christmas Child at your church. 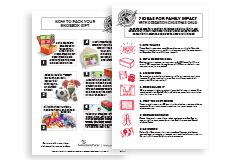 Specific suggestions of how to maximize a family’s shoebox packing experience, complete with steps for How to Pack a Shoebox. A production from Word Music for the children of your church to perform. 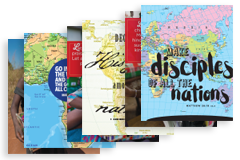 A way to discover the destination of your shoebox gift and teach your child about what God is doing around the world. 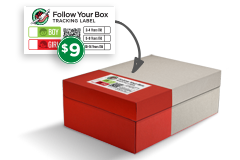 A tool to recognize the service of shoebox packers. Steps for how to pack a shoebox that will bless a child in need. Includes gift suggestions and space for local details. An illustrated description of the journey of a shoebox gift, complete with steps for how to pack a shoebox. 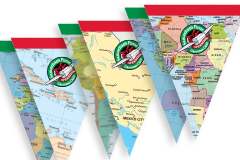 Festive banners to promote Operation Christmas Child. Operation Christmas Child décor for shoebox packing.